The story of the life and service of Alberto R. Gonzales, the highest ranking Hispanic in the Executive Branch of the federal government. 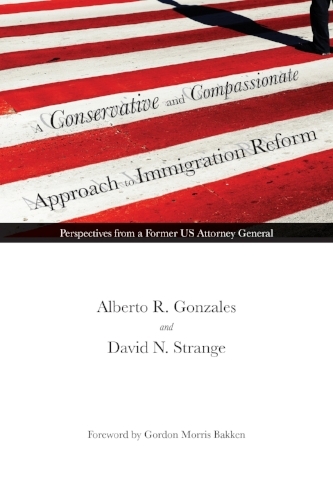 "True Faith and Allegiance is the highly-anticipated personal history from Alberto R. Gonzales, former Attorney General of the United States and former Counsel to the President—the only lawyer and only Hispanic to hold both these positions—an ultimate insider in the most tumultuous events in recent history. Born to a poor but proud working-class family in Humble, Texas, Gonzales was raised along with his seven siblings in a modest 2-bedroom home. His loving and devout parents taught him the conservative values of hard work and accountability that motivated Gonzales to the highest echelons of power. He was a confidante to President George W. Bush during the crucible of the 9/11 attacks, and he played a vital role in the administration’s immediate response to protect America and the far-reaching steps to prevent further harm." Order now: True Faith & Allegiance.